CUE Members from near and far prepare to take you to new levels of learning and innovation in tons of different ways! Fall CUE, More than just sessions! Kickoff your learning at Fall CUE with inspirational words from passionate speakers who want to get your creative juices flowing. Prepare to be wowed and bring back new ideas to your classroom that will keep the edu-high going all year long! CUE Playgrounds are at Fall CUE for one reason…PLAYTIME. It’s a chance for educators to get hands-on with devices and gadgets. Get out to the playground and have some fun! Interact with the brains behind the tools as we bring some of the most exciting resources to your fingertips. Ask questions, make connections, and walk away inspired to innovate and grow. Included with your conference registration are 60-min concurrent sessions that emphasize the most progressive pedagogies for educators of all grade ranges and skill levels along with strategies to seamlessly integrate technology. Learn in small groups, featuring hands-on activities, with outstanding CUE Lead Learners and take your CUE Fall Conference experience to the next level. Add a workshop to your CUE Fall Conference registration. CUE members are always ready to share their excitement and passion for trends, EdTech tools, and best practices that impact teaching and learning. Each presenter will get 3 minutes to blow your mind. Are you ready? Get set… BOOM! 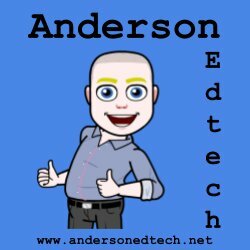 Check out who BOOMED at FallCUE 2018 below! Purchase 10 registrations on the same account, get the 11th registration FREE!